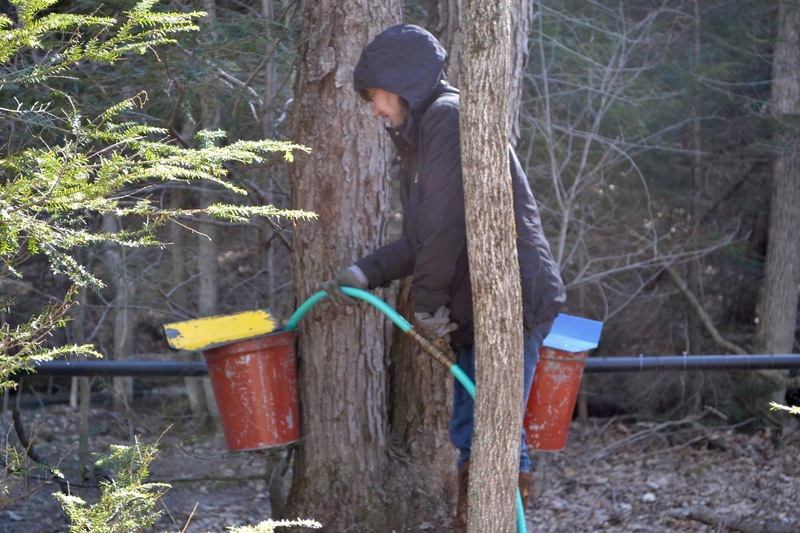 Every Spring, when the weather is just right, (cold nights and warm days) the Maple trees give up their sap. 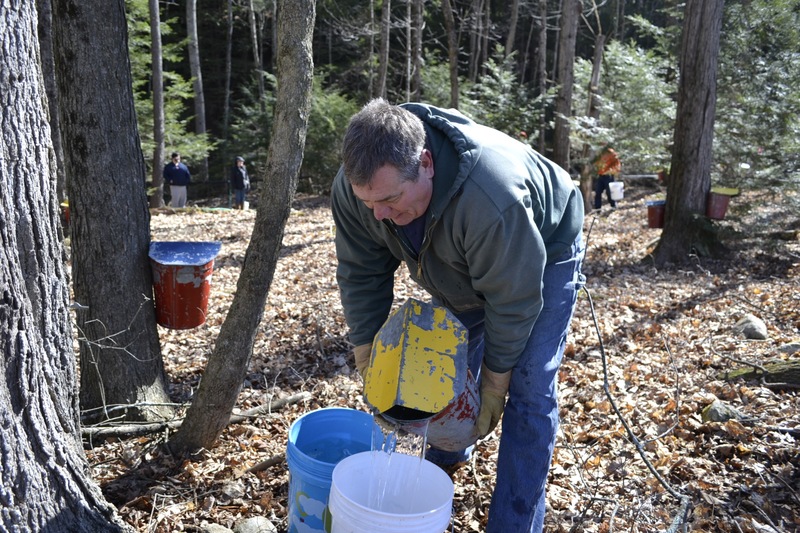 Enterprising New Englanders gather this sap by drilling taps into the trees and catching the liquid in buckets. 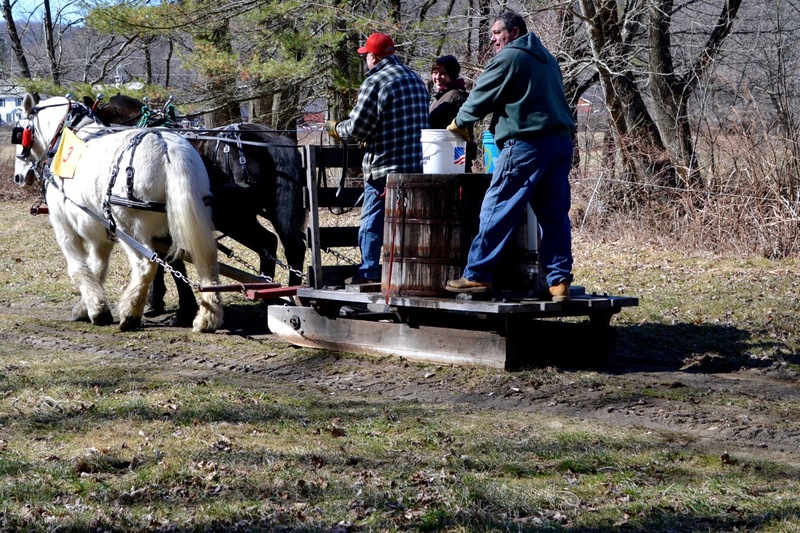 It is then hauled to a sugar house where a wood fired evaporator boils it down to our cherished Maple Syrup. This honey-like product is a staple in cooking and a favorite on a large stack of pancakes. 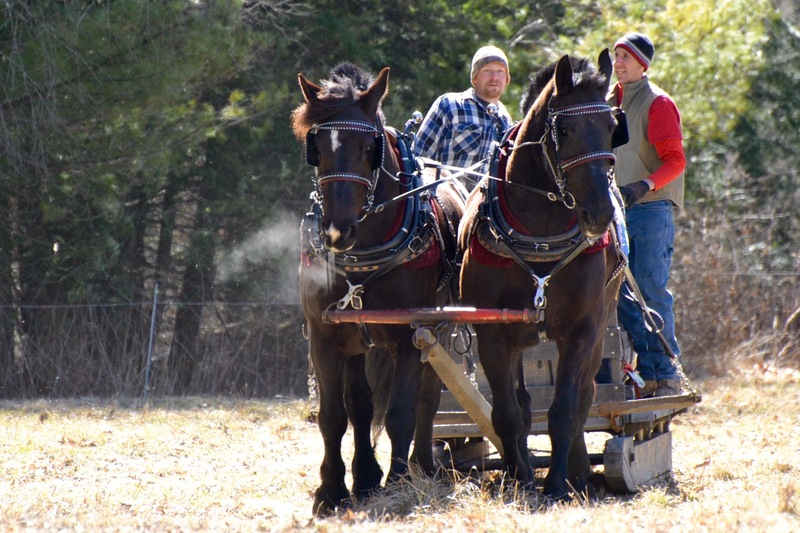 Saturday was the 17th Annual Sap Gathering Contest at Stonewall Farm. 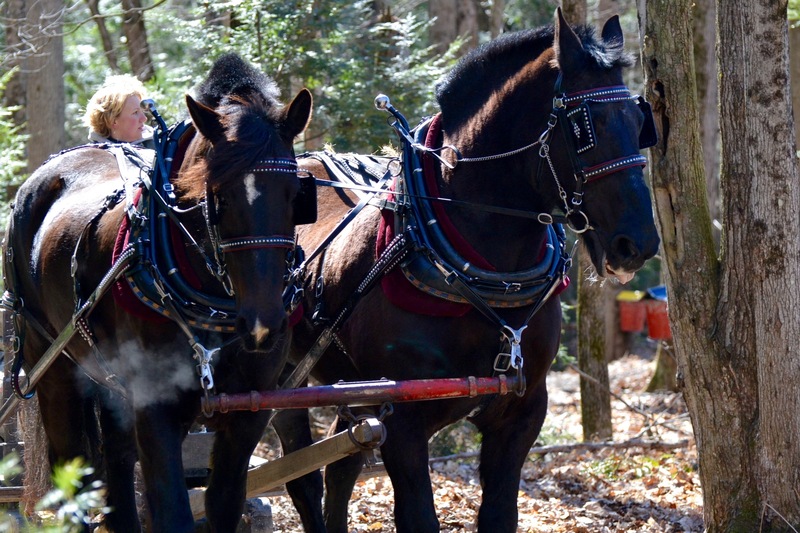 According to their website, “This event highlights not only the state’s important maple syrup industry, but also celebrates New Hampshire’s rich farm heritage.” Seventeen teams of draft horses, teamsters, and “sap runners” competed. 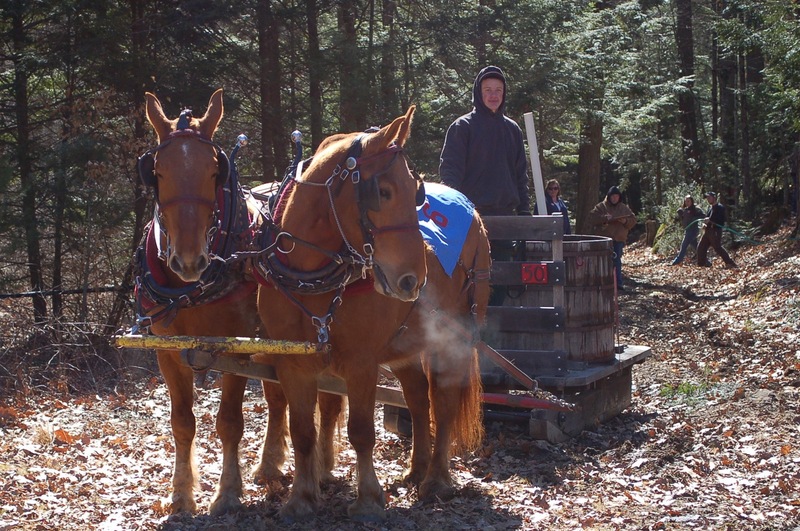 The contest involves hitching the team to a sled with a large tank on the back. 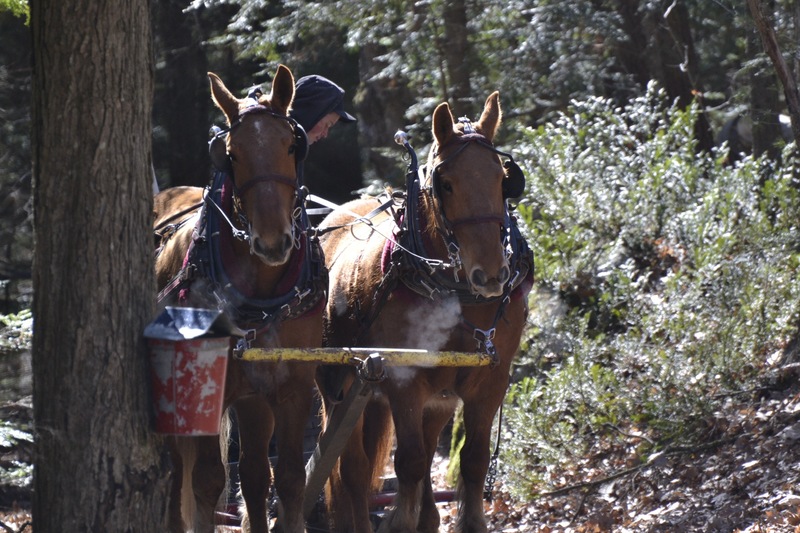 The two sap runners must dump 40 buckets of sap into the tank as the teamster guides the sled and horses around a course through the woods and fields. 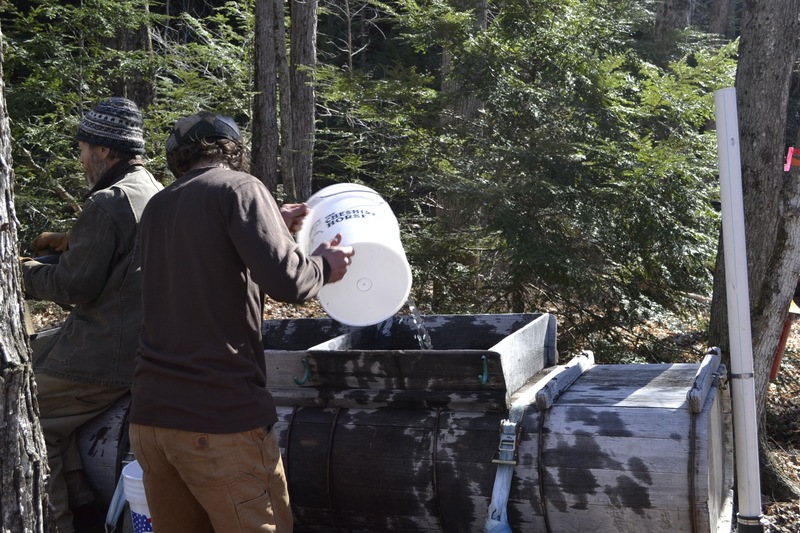 All of the sap buckets and their caps on the course must be emptied and properly installed back on the trees. 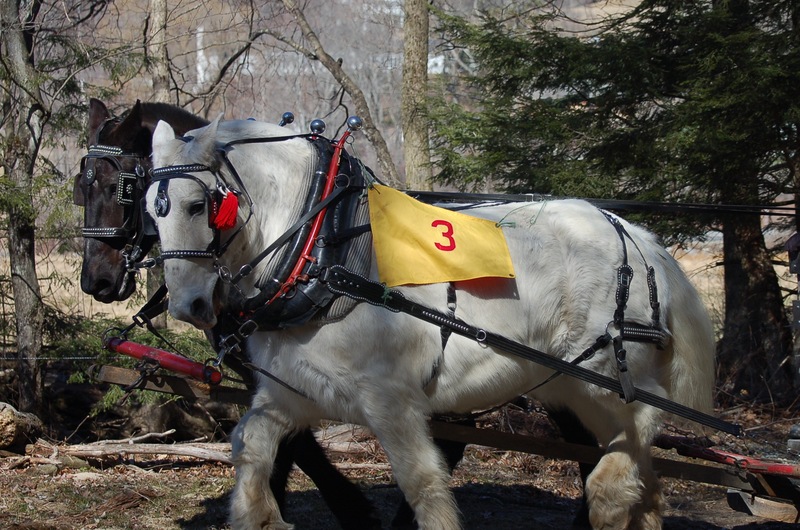 Speed and amount of sap gathered are tallied for each team; penalties include spilled or missed buckets, and horse/teamster mishaps. 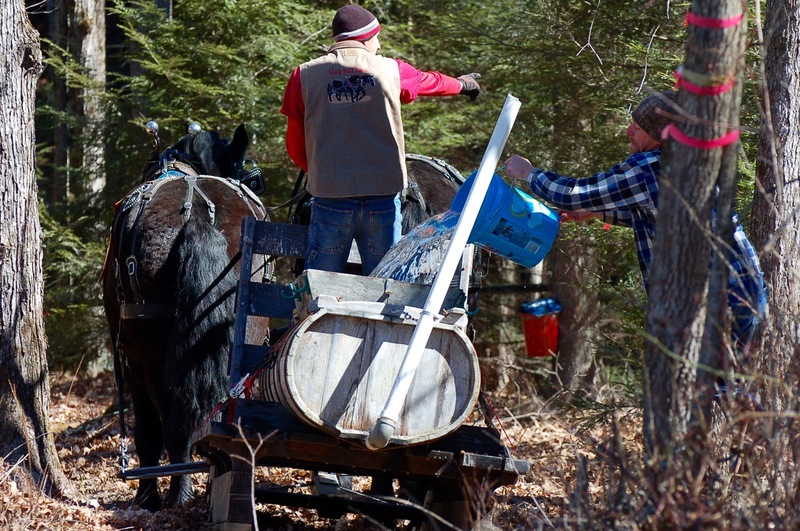 As the actual running of the sap has passed, volunteers filled the buckets with water before each team came through. One of those kind helpers was my daughter Hannah. 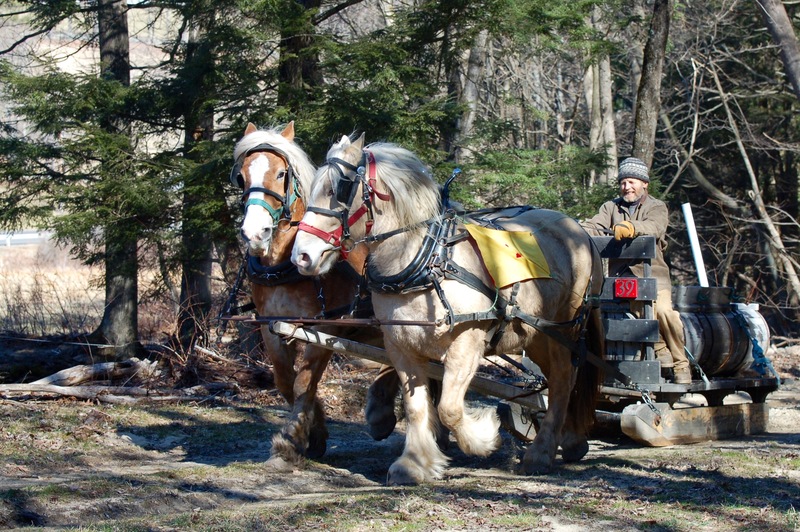 It was cold but sunny and this year there was no snow to contend with. 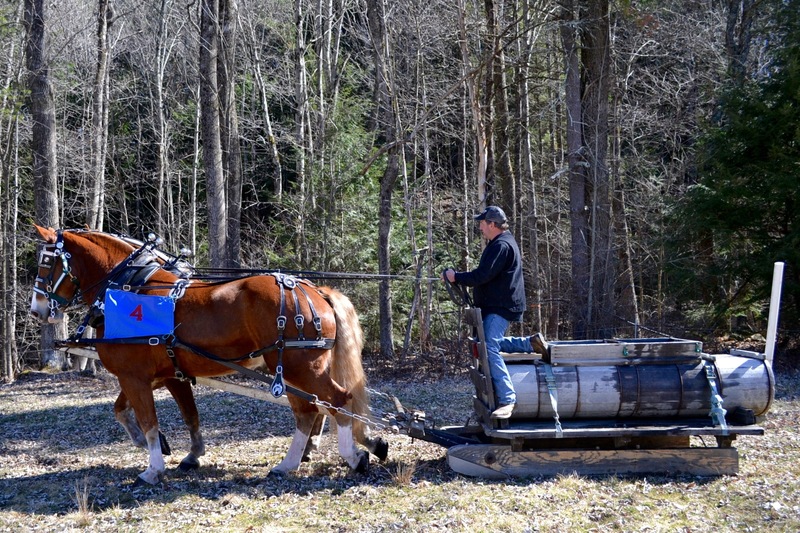 This made it easier on the sap runners but harder on the horses to pull the sleds, particularly when the tank on the back was full and they were racing up the hill to the finish. I was there to cheer on my friends George and Mary and their winning team. 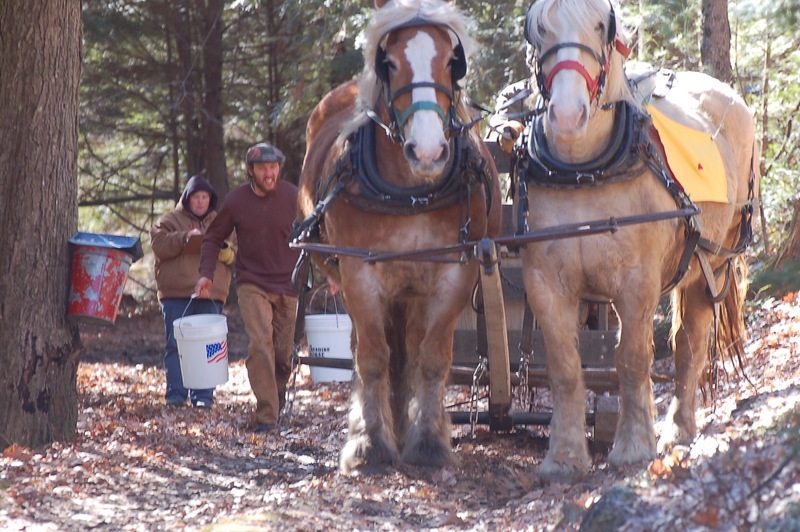 The two runners hustled, leaping off the sled and dashing ahead to fill their buckets, dumping them into the tank as George drove his mother/daughter team of draft horses. This entry was posted in memoir. 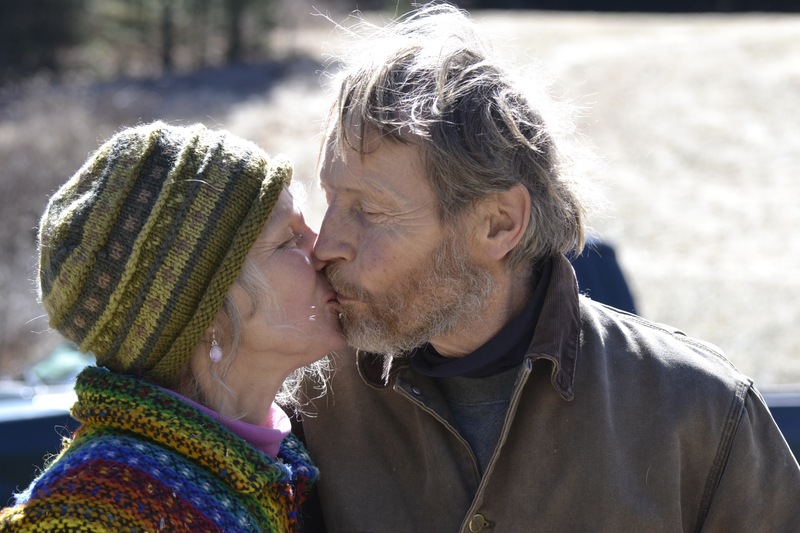 Tagged inspiration, life after 60, life in New Hampshire, Maple Sap, maple syrup, memoir, New England traditions, Sap Gathering, Stonewall Farm. Next Post Next post: Does Size Matter? 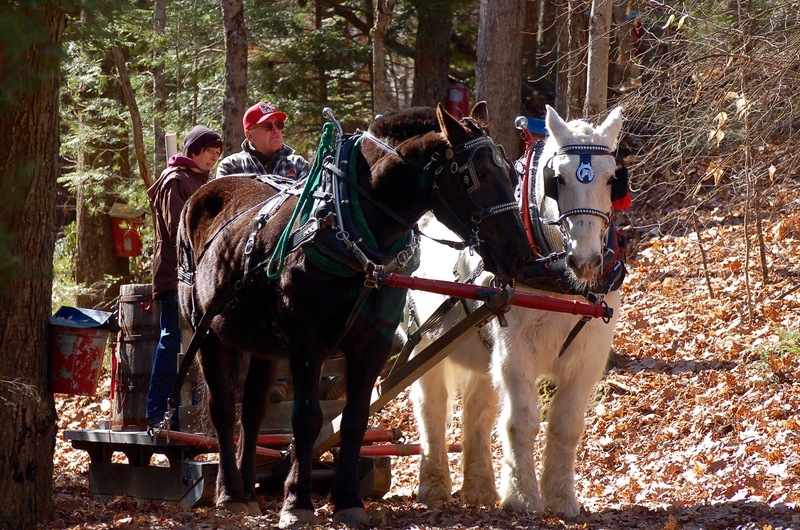 I went several years ago, it was bitterly cold with a fair amount of snow. Lucky for the teams this year it wasn’t a mud race. What a beautiful bunch of teams. They were so gorgeous! 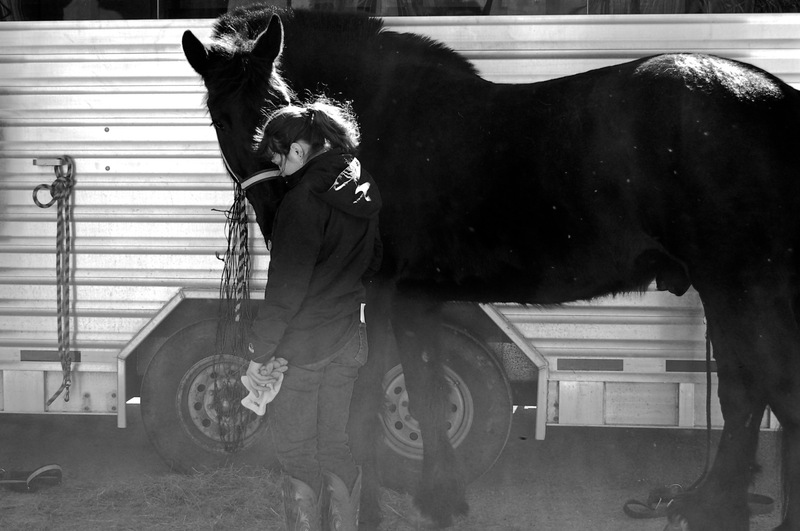 Even if you aren’t a “horse person” you couldn’t help but love the massive beasts with their kind eyes and willing hearts. Thanks Laura! 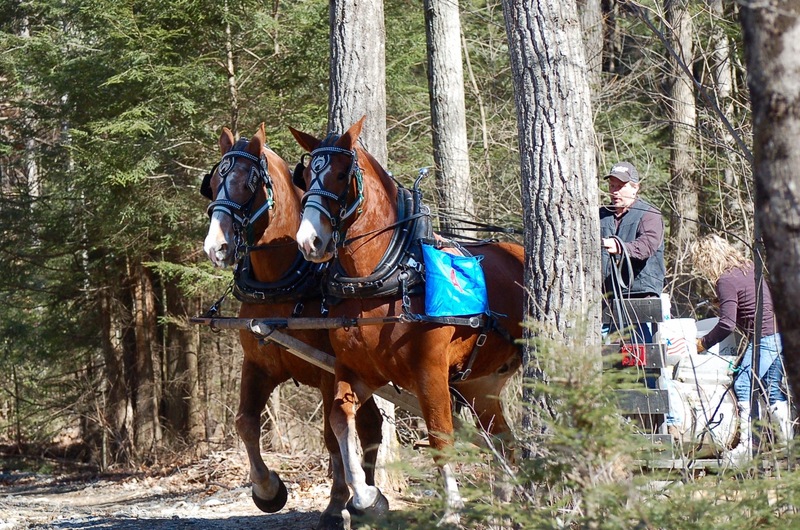 I can see the intensity of the race in the faces of the participants. 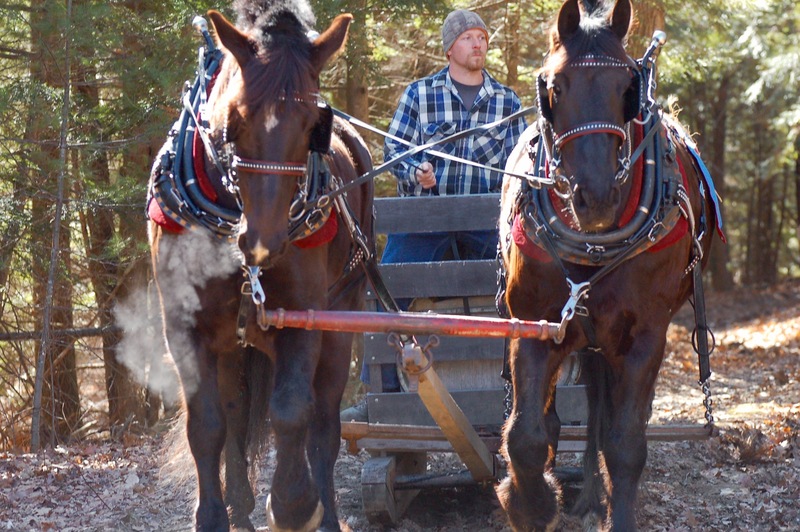 What a great by-product – my syrup at home is always the real stuff. Glad you buy the real stuff, Susan. It’s funny to me that most of the country doesn’t know the difference. Aunt Jemima and Mrs Butterworth are not even close to the real thing. 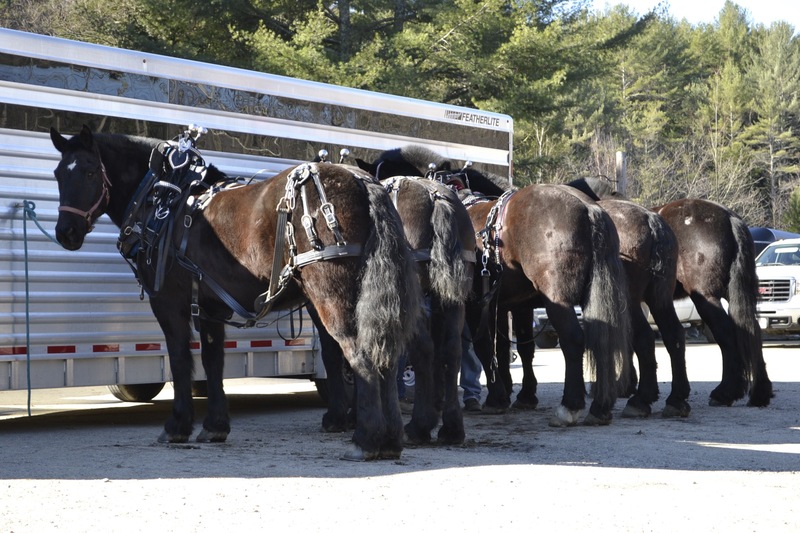 Those are some big horses! So big in every way. 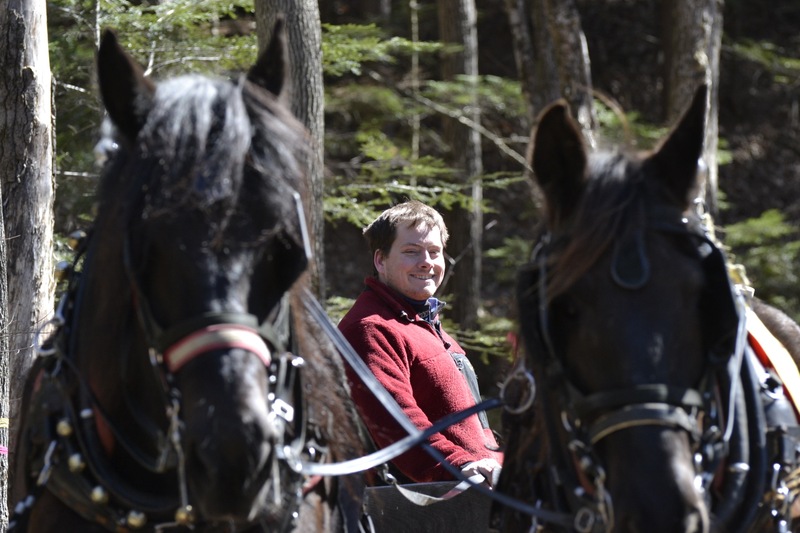 As you can see from the difference in size between Hanni’s head and the horse’s in the black & white photo. 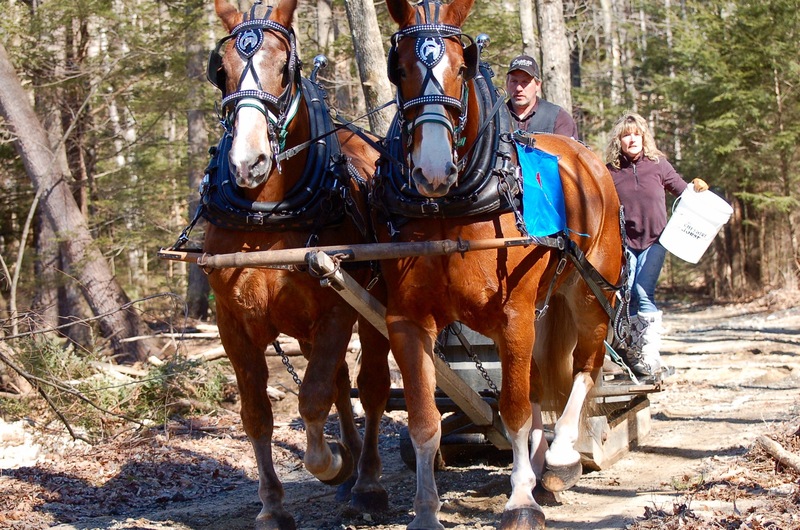 They are gentle giants! Thanks. Sounds like a fantastically fun event!! There certainly were some characters there, Julie! What fun! Your photos are lovely. So evocative of gentler times. They could so easily have been taken a hundred years ago. 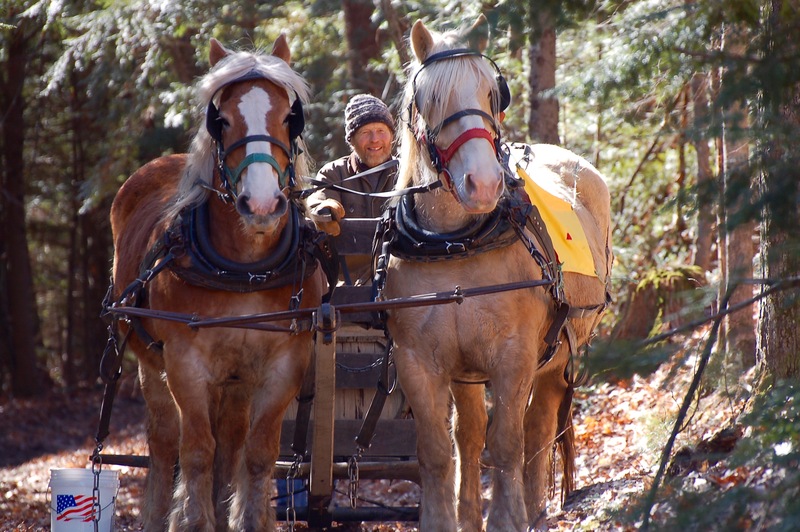 Beautiful horses and I love the kiss at the end. I have been spending time with a new friend from Oxford who tells me your part of the country is truly lovely. But I knew that! Thank you Marie. Thank you Mark. It was a really fun day.